Wall graphics are an adhesive vinyl material that is applied to walls. It can be used to display your favorite quote, graphics and photographs. You can now design wall graphics in our online designer! 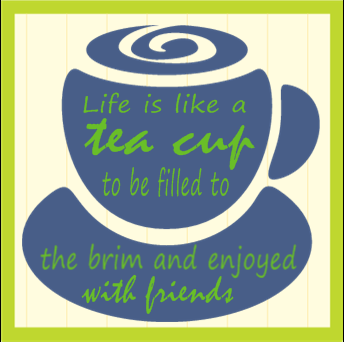 Click here to go to our Wall Graphics page. You must choose your wall graphic's height and width from the drop down menu. You will then select the quantity you need. There are three ways you can order your wall graphics: Pick a Template, Upload a File or Work with a Designer. We have templates available for you to customize in our online designer. All templates are fully customizable. You can add backgrounds, clip art, photographs and text. If you are going to be using a template, the standard finishing option is square cut. This method is best if you have a background on the design. Any quotes or words will not be cut out with this method. When you have found a template you like, click on the template and it will bring you to the online designer. 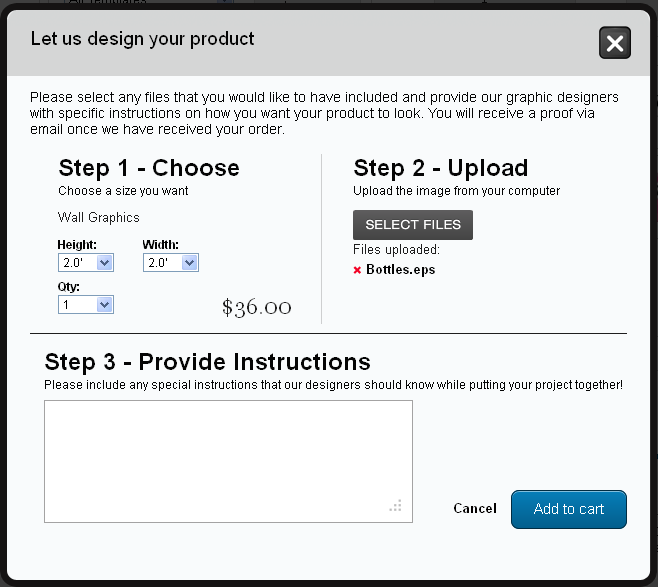 You can also select the "Blank Template" and start designing your wall graphic from scratch. Click here for more information on how to use the online designer. We have a team of graphic designers who can design your wall graphics. All you have to do is choose the "Let us Design" option. Once you click on the button, a pop up window will appear.You can upload any files that you have and provide instructions for the graphic designer. If you have a quote you want printed, you can write the quote there or provide a picture of the quote. Once you have provided all information, click on the "Add to cart" button. Regardless of what method you choose, you will be taken through the checkout process the same. You will see the product options page, the shopping cart page and the billing and shipping page. Click here to get started on your Wall Graphics.